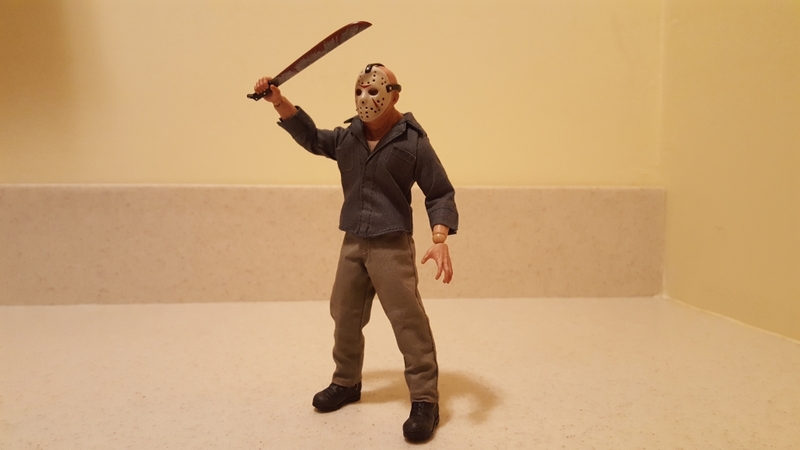 Mezco Toyz One:12 Collective Jason Voorhees ‘Friday the 13th Part III’ Action Figure: The Horror News Network Review - Horror News Network - The Horror News You Need! 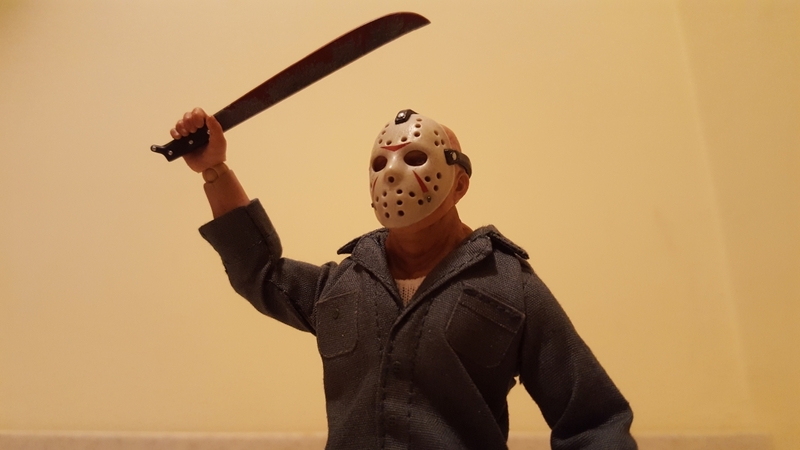 Mezco Toyz’s One:12 Collective Jason Voorhees figure perfectly captures the iconic slasher from his very first appearance where he sported the signature hockey mask we’ve all grown to both fear and adore. 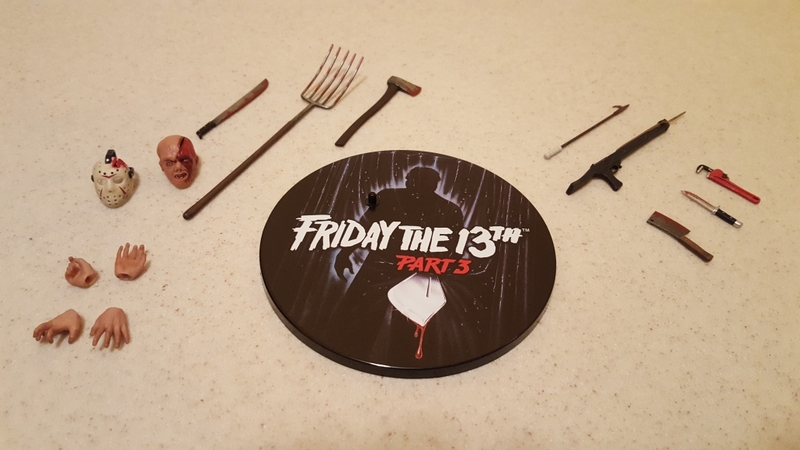 Based on Jason’s clothing, makeup, and instruments of death featured in Friday the 13th Part III, the folks at Mezco have meticulously replicated every detail in such a small scale that it makes their undertaking seem almost impossible. 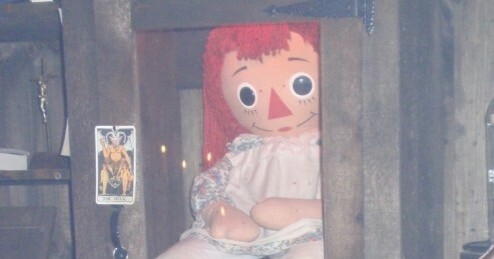 Yet, somehow they did it, utilizing a variety of high quality materials and lifelike textures to bring this beast to life! 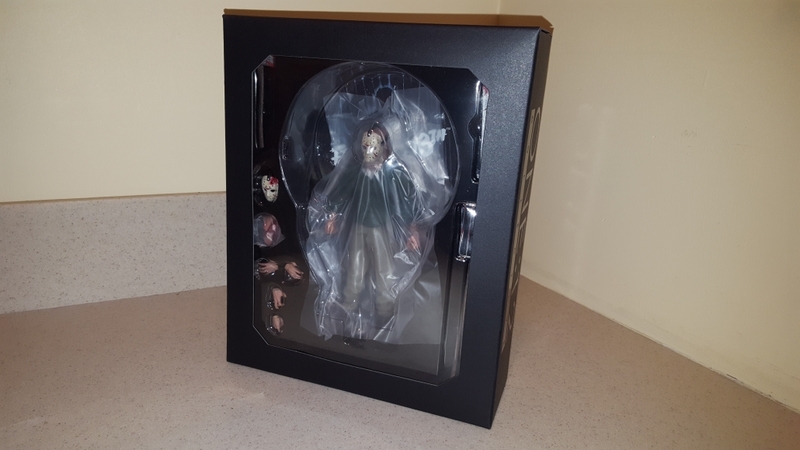 The experience of opening any One:12 Collective figure is always a treat, and the Jason Voorhees figure is no exception. All of the delicate pieces are carefully arranged, and the more detailed accessories-like his alternate portrait- are individually wrapped with plastic to avoid any scuffing in shipping. Heck, they even put a protective layer between Jason’s monstrous face and his mask to keep things pristine! It’s clear that Mezco takes the quality of their paint apps as seriously as the most discernible of collectors, and it makes for a level of quality control that’s not often seen in similarly priced action figures. The outer box isn’t going to knock anyone’s socks off, but it features some solid photography and it tells you exactly what you’re going to find inside while still following the format of all of the other characters and genres captured by this expansive line. 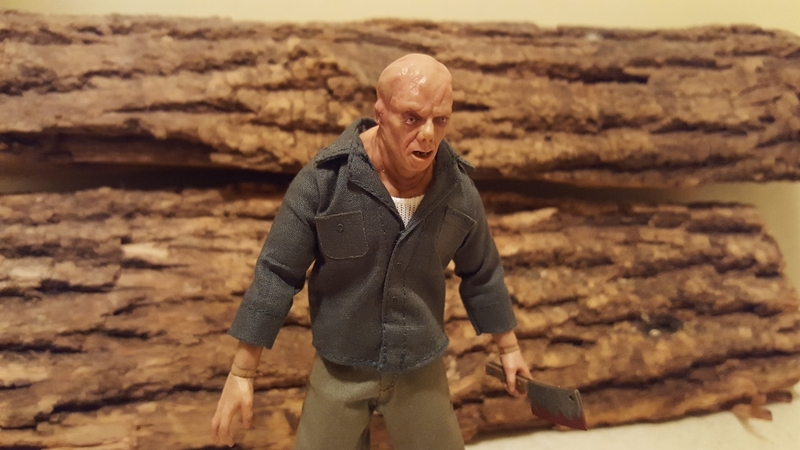 There have been Jason toys out there for nearly as long as there have been Jason movies, but most of them fall short in one key area: his ugly mug! Cheaper toys tend to have a hockey mask permanently adhered to a generic-looking head and leave it at that, while others come with a removable mask that hangs loosely over an uninspired head sculpt. 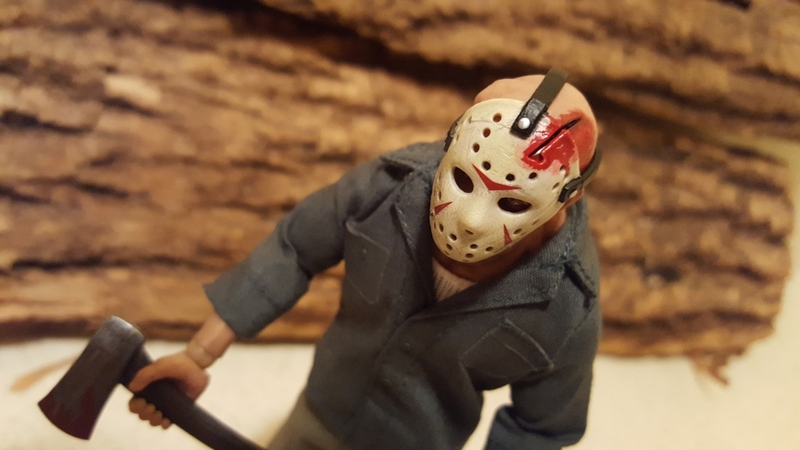 Mezco kicks their One:12 Collective figure into high gear by including two excruciatingly detailed heads and two removable hockey masks. Jason’s eyes creepily peer through the eyeholes when his mask is fastened, and the mask sits in such a way that it looks like the figure just climbed off the movie screen. It doesn’t wobble or sit weirdly like many previous designs over the years. Removing the mask unveils a fantastic display of macabre details. One can’t help but notice how Jason’s head glistens with a lifelike sweat effect, or how his eyes communicate the shark-like and dead-eyed determination of of this unstoppable killer. The “battle-damaged” head is even more grotesque, and the blood effects look like they’re literally oozing from his scalp! 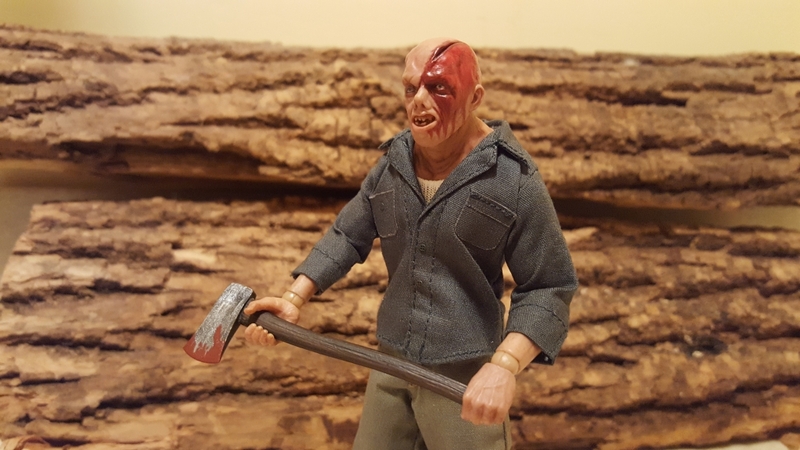 When combined with the bloody mask, the visage will bring you back to the first time you ever saw Jason take an axe to the face and keep on kicking! 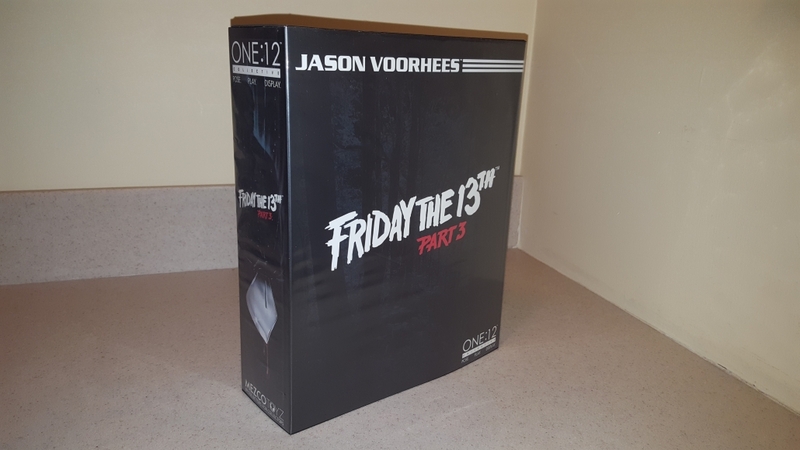 Given the numerous accessories included with this figure and the expansive number of poses the One:12 Collective body is capable of, Friday the 13th fans will never run out of ways to proudly display this little masterpiece. 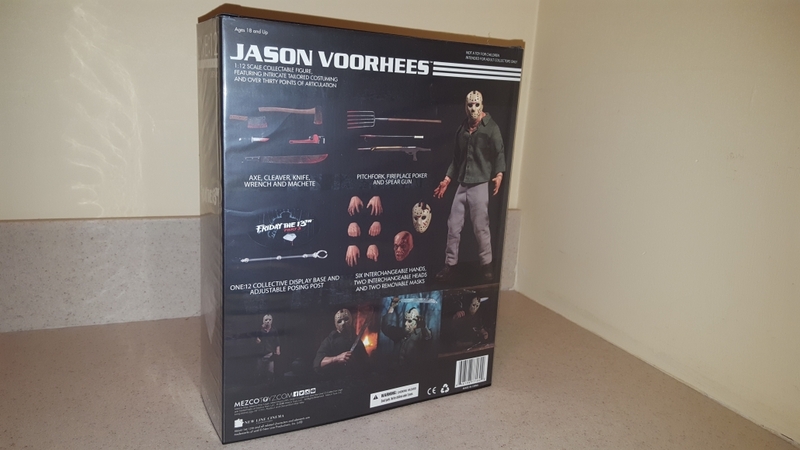 It’s a fine addition to the One:12 Collective line, and a must-have figure for any serious Jason collector. 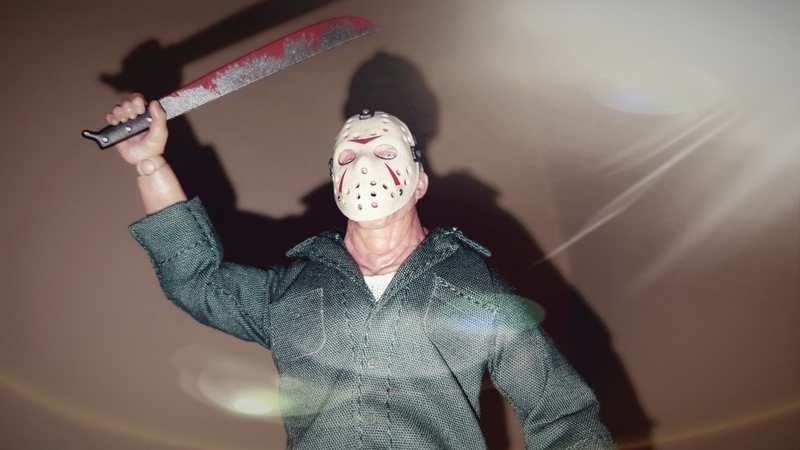 Stay tuned to Horror News Network for complete coverage of the Friday the 13th franchise and upcoming Mezco Toyz products as soon as they break!